Dec 28, 2018 I’m very happy with the quick turnaround and response with my timer. I thought I was going to have to buy a new oven when I found out my timer was no longer available. But your repair saved me several hundred dollars and has worked flawlessly. I will Definitely recommend your service to anyone I know. Dec 22, 2018 I got the repaired timer and was installed and working fine, Have done a lot of Christmas baking since timer repaired. Job well done and very pleased. Thanks and it was your reply to my first email encouraging me to send timer as you fixed them in the past. 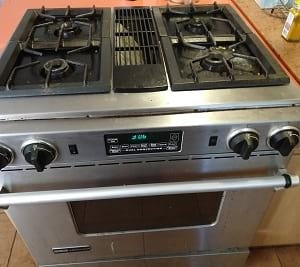 Certainly prevented us from getting a new stove just before the busy season. Nov 21, 2018 Reinstalled repaired timer. Works like original equipment. Saved me from buying a new oven. Great job and a great price. Sep 22, 2018 Very good job. It saved us a lot of money!!! Aug 10, 2018 If my part was available, I saved money having mine re-built. Returned to me as Quickly as the available baking element, My [ new ] timer is as bright as new with new relays and Hope for another 25 years or use. Aug 06, 2018 Excellent service ! Have used appliance timers.com to repair two timers, first time 4 yr.'s ago and in July 2018. very pleased with the overall experience, highly recommended them to friends, GREAT PEOPLE TO DO BUSINESS WITH AND A PLEASURE. May 10, 2018 It works great, better than I could have hoped for. All the numbers and codes are so bright and easily Read! Thank you!!! Also returned quickly and packaged well. May 26, 2018 My timer was received and my son installed it. It works perfectly and you have made my life much easier. Apr 11, 2018 Just want to thank you again for giving our 23 year old oven a new life! It hadn't quit working but was not working well at all. Since receiving our rebuilt timer it works better than it did when it was new! Thank you for saving us from buying a new oven we weren't ready for and didn't need - and for the quick turn around. You guys are AWESOME! Mar 22, 2018 Thanks for the quick response to repairing the Magic Chef 6498VVV Gas Range Timer. It arrived last Friday, was installed on Friday, and works just fine. Mar 04, 2018 I just want to let you know that the repaired oven timer that we purchased from you was exactly what we needed. The hardest part about the removal of the old timer and the installation of the new one was removing the control knobs from the front of the stove face so that the control unit could be removed. Once we were able to pull hard enough (we were afraid of breaking something since the stove is 30 years old) everything went smoothly from there. Thanks for your help over the telephone and it is certainly a better fix than purchasing a new stove. Thanks again and I will recommend your company to anyone in need of a similar repair. Feb 07, 2018 Awesome experience with this company. Saved me at least a $1000.00 or more on the purchase of a new stove. Sent my timer in and received it back in less than 2 weeks. Installed it and the stove works even better than when it was new. Great job and at a seriously good price. I would recommend and use this company again in a heartbeat. Jan 25, 2018 I tried to get this timer from Sears but they said they would only supply them to customers who had a maintenance agreement. When I saw that you had a refurbished timer I thought it was worth a try. I received it promptly and installed it in a few minutes. It is comparable to a new timer in every way. I am very pleased with your service. Jan 11, 2018 Your service was exceptional, way better than expected in today's environment. Our timer was repaired promptly and accurately. Frankly, I didn't think it could be repaired, but, your company did it.